Exclamania! : YOU CAUGHT A PRIZE! Ooh! I always wanted a [marine bag and cooler bag plano]! 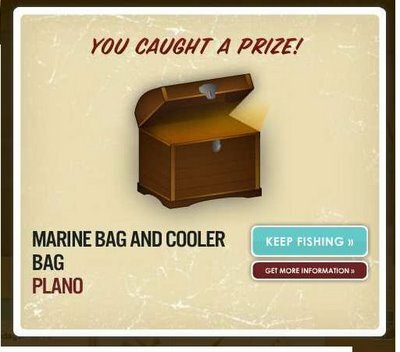 I "caught" this prize? Was the treasure chest running away?